The time has come: Your loved one is ready to move to senior living, and you want to select the perfect place. You have your assisted living checklist in hand and know the right questions to ask as you evaluate the options together. Keep in mind, though, that every assisted living community puts its best foot forward when meeting prospective families. So how do you distinguish true quality during an hour-long senior living tour? The truth lies in the details — and not necessarily just from the answers you receive to your questions. Consider the small elements you can quietly observe, too. These simple, off-the-checklist details can provide big clues to the care your mom or dad will receive. Look for them during your next assisted living tour. Is Your Assisted Living Tour Tailored to Your Loved One? 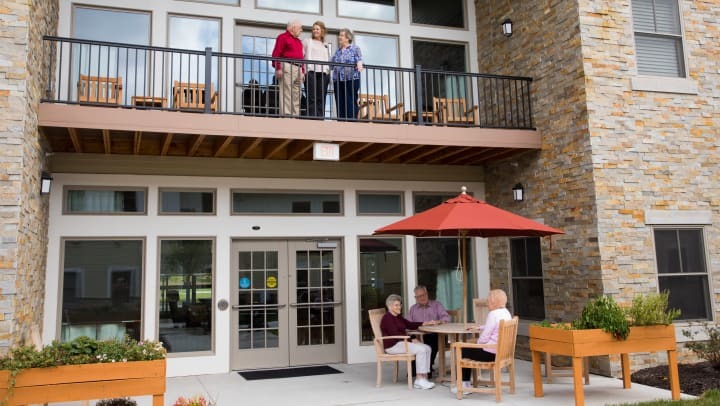 While a senior living tour will certainly cover the basics about the community, take note if your tour guide doesn’t customize the visit to your family. A good indicator is the questions you are asked at the beginning of your tour. Standard questions will explore your loved one’s medical diagnosis, your family’s timeline, what size apartment you seek and your budget. While these questions are important, the best communities go even deeper. They’ll spend time building a relationship and better understanding your family and your loved one’s needs. The tour should reflect the personal information you provide about your mom or dad. Your Assisted Living Visit: Is It Clean and Well-Maintained? First impressions are important when visiting assisted living communities. But even if the building wows you with its newness and pleases you with its scent, look more closely at its maintenance and cleanliness. Before you even step inside, take note of the landscaping to see if there are extensive weeds or dead bushes that haven’t been taken care of. If there are issues taking care of the property, will the community have difficulty caring for your loved one? Inside, swipe your finger along picture frames, tables or railings as you pass, both in the lobby and near the apartments. Is anything dusty? Does everything feel clean? Are the floors freshly vacuumed? See if the community is kept the way you would keep your own house. Are the Assisted Living Residents Engaged with Their Peers? As you move through the facility, it’s natural to notice if the residents seem happy and well-groomed. But also look closely to see if the people living there seem involved with one another, rather than just with staff and visitors. Are residents eating together and conversing in the dining room? When you pass other seniors in the hallway, are they alone or walking with a friend? Peer socialization is a big benefit of assisted living, and good senior care should encompass the whole person. While not all aging adults are outgoing, socializing should be encouraged and noticeable. Most importantly, remember why you are seeking assisted living for your loved one. Then make sure those needs will be met, in an environment that feels warm and welcoming. Contact a Heritage community in your area to share your situation, and schedule your very own customized tour.